Phooey! - What the Junk?! 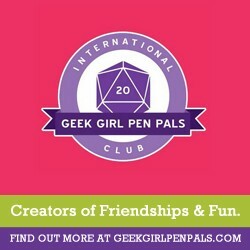 An Adventure Time fangirl's blog about her Starbucks obsession, coffee, fitness, fandom, bullet journals, pen palling, and more! I didn't get to walk today. Why? Well, my friend got off earlier and was coming to try and get my water heater fixed. Sadly, I could have walked because he didn't get here until after I would have gotten back. Oh well. He didn't get the water heater fixed. There is still water down there. He did get the pump set up down there so it will always be ready to go. It should now come on and keep the basement from flooding. Hopefully he'll be able to get down there and get the whole thing fixed when the water goes down. It's so frustrating! I still have not heard one word from the seller on ebay about her sending me the wrong purse. If she doesn't respond soon, I'm going to leave negative feedback and report her to ebay. I do not like to be treated like that. I'm hoping she makes it right, but at this point, I seriously doubt it. I got an unexpected treat today of $30 to spend at Amazon. Just after I bought the stylus. lol . So, I bought some ink for my printer, a three pack of Mildliners, and some blue ball point pens. (Just to round out the amount.) . I've wanted some Mildliners for a long time. They have been on my wishlist forever. I decided to treat myself to some. ^_^ . They and the other things should come Saturday. Everything I got was Prime eligible. The pens are a brand I've never heard of, but I figured I'd give them a try. I love pens so it's always fun to try new ones. I'm off to play with GoodNotes. I found a bunch of templates and things online that I want to import in and play with. I'll do a GoodNotes review soon. Also, I'll be talking about my latest game obsession, Board Kings! I am a Blogilates Popster that is into fitness, Adventure Time, snail mail, pen pals, and much more. I'm also a Starbucks addict! This blog is my personal blog that will be about fitness, pen palling, writing, fandom, geek stuff, and more. If any of this sounds interesting to you, feel free to follow me. You can follow me all over social media by clicking on any of the buttons below..